I’m writing this from a small Caribbean island not far off the cost of Venezuela – Hugo Chavez would much like to get his hand on it, and the neighbouring islands, but this is a former Dutch colony and now an independent state. It’s nice and warm here. So much for a background sketch. This island traditionally has a strong Dutch – and so European – influence, but given its proximity to the Americas, there’s also a strong American flair to everyday life here. The aspect of life where this is best seen is motorised transportation, where one can see there’s of course also the Asian market presence. The result is a network of roads – that are full of potholes and more than just slippery when wet – being driven on by a strange and large variety of vehicles. On the one hand there are shiploads (if you read that too quickly you might have read shi*loads) of VWs, a couple of Bimmers, Audis and other stuff. French cars are rare but there; an occasional Peugeot or Renault. Haven’t spotted an Italian car yet. Then there are the monstrous juggernauts that are Dodge Rams, Chevy Avalanches, Ford F150s, F250s, F350s,… and the US-built Japanese competitors (Toyota Tundra, Honda Ridgeline, etc.) of these pick-up trucks – truck is the key term there. These are contrasted by the tiniest of Japanese and Korean small cars. Think Kia Picanto, Chevrolet Spark (it’s Korean remember! ), Toyota Yaris, etc. Saw some obscure Chinese makes too today, including a Great Wall and some cheap rip-offs of Japanese or European cars. With regard to Asian cars, the focus is on makes and models that are sold primarily on the US market. These then are cars that you don’t get to see in Europe. 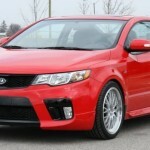 One such car is the Kia Forte, named Kia Cerato (Forte) in some markets. Though designed by a Dutchman named Peter Schreyer, Kia’s CDO – Chief Design Officer – since 2006, Europeans other than Russians and Ukrainians have to go through a lot of trouble to own one. And I doubt many of us will do that, for the simple fact that we don’t know about its existence; I didn’t before yesterday. It’s also really not so special that many would go through all that trouble for it. That’s a pity though, as I would love to see a few of these on the roads back home. 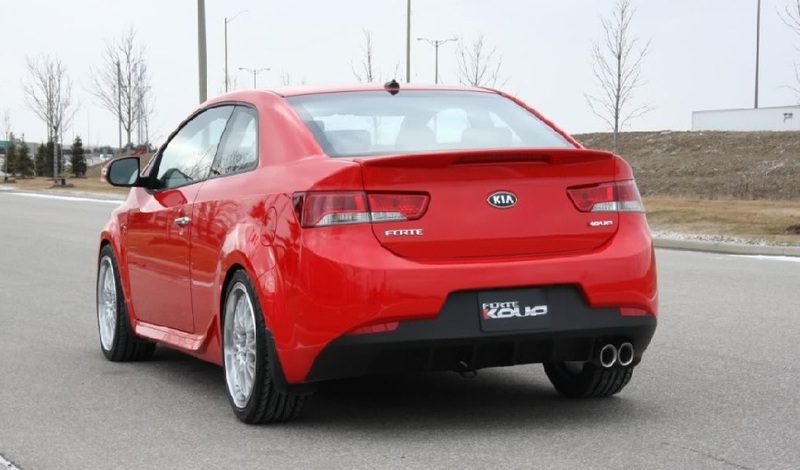 In particular I’m thinking about the Kia Forte Koup, which is a funny way to spell Coupe. Saw one the other day and actually caught myself giving it the “look of approval”. And it’s not the only one lately. 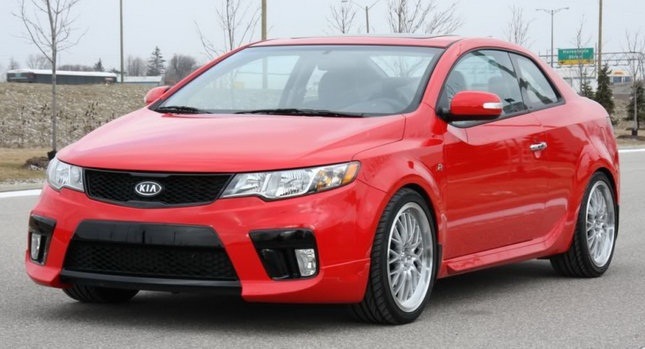 I mean, have you seen any of the recently released Kia models? I guess Schreyer was a good hire! Forte is Italian, used as a musical term, when it means strong or loud. 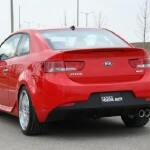 I wish Kia would give this Forte of theirs a stronger and louder market presence. In Europe too, please. 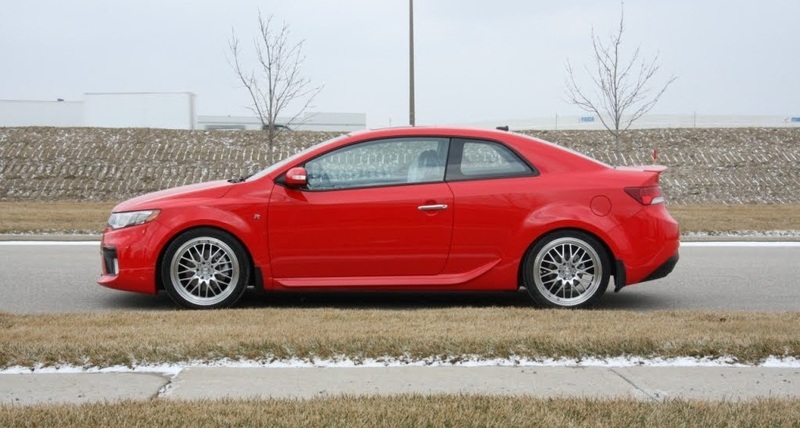 This entry was posted in News and Views and tagged audi, car, Caribbean, chevrolet, Chevrolet Spark, Chevy Avalanches, coupe, Dodge Rams, Europe, ford, Ford F150s, Forte Kia, Great Wall, honda, Honda Ridgeline, Hugo Chavez, italian car, kia, Kia Cerato Forte, Kia Forte, Kia Forte Koup, Kia Picanto, LS, MoT, music, Peter Schreyer, peugeot, renault, Sport, Think Kia Picanto, toyota, Toyota Tundra, Toyota Yaris, UK, US, Venezuela Hugo Chavez, VW, Yaris by The Flying Dutchman. Bookmark the permalink.